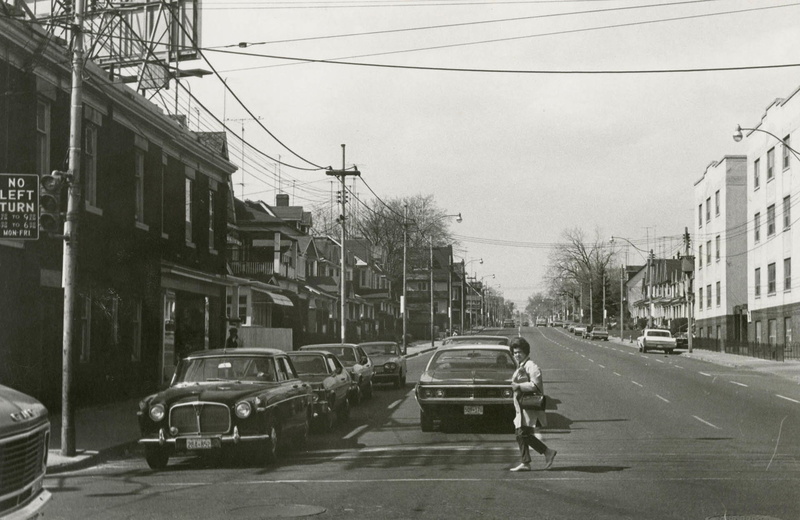 Woodbine, looking north from Queen East, c. 1972. Image: Toronto Public Library, Beaches, LOCHIST-BE-40. It has not been often that I’ve posted “then and now” photos here on Margins. 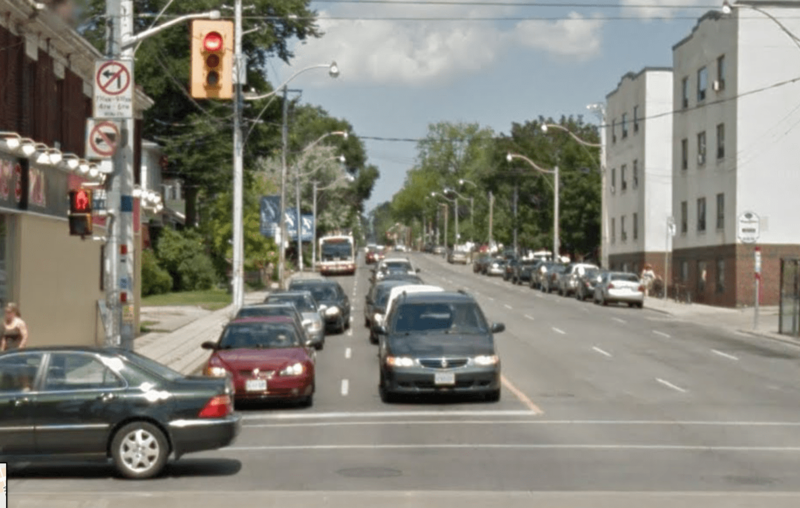 While browsing the photographs that have been digitized by the Toronto Public Library this evening, I was reminded of one of the more influential-to-me discussion threads on the Urban Toronto boards: Miscellany Toronto Photographs: Then and Now. Although it has slowed down considerably in recent times, the nearly 900 page discussion is a rich one. A similar view, August 2011. Image: Google Maps.